The Point: The Definitive Collector’s Edition is now available. 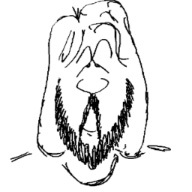 In addition to the award-winning animated feature narrated by Ringo Starr and featuring songs written and performed by Harry Nilsson, the definitive collector’s edition DVD includes over 25 minutes of bonus features including: Who Is Harry Nilsson?, Pitching the Point, Making the Point, and Legacy Of The Point. The DVD is available online from Amazon.com.